The key motivation of INDIRES is the provision of the vital information – often under non-ideal conditions – that is required to facilitate the planning and operation of a response to a serious underground incident that could threaten the lives of miners and of the future operation and profitability of the mine. Such rapid access to information has never previously been achievable under adverse conditions. 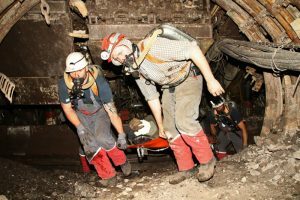 Lack of information being one of the main hindrances to the timely and effective response to an emergency incident in a mine is a sentiment commonly expressed by mine operators and those responsible for rescue operations. Indeed a report by researchers at the Pittsburgh Research Laboratory, Mining Safety and Health Research, National Institute for Occupational Safety and Health (NIOSH) [Kowalski-Trakofler, K., Vaught, C., Brnich, M., Janskey, J. (2010) A Study of First Moments in Underground Mine Emergency Response, Journal of Homeland Security and Emergency Management, 7(1), Article 39, 31 pp.] makes exactly this point. Drawing on the experiences of those involved in several high-profile disasters in American mines – including those at Sago Mine, West Virginia, in 2006, Aracoma Alma No. 1 Mine, West Virginia, in 2006, the Darby No. 1 Mine, Kentucky, in 2006, and Crandall Canyon Mine, Utah, in 2007 – the researchers cite poor communication as their second main hindrance after preparation and planning. They concluded “Communication and information are critical. Even with a good plan, escapees and responders cannot respond adequately without accurate and timely information…. Although this study was not focused on technology, researchers recommend investing in and remaining current in communication technology.” It should be noted that 19 miners perished in these three disasters, some of whom may have been saved had significant improvements to information and communication technologies been available. Lack of information on the environmental and geological conditions in the mine, and the location and state of missing miners, has also been an issue in a number of more recent well-publicised mining incidents. In August 2010, a rock fall in the San Jose Mine in Chile trapped 31 miners alive although, at the time, their fate was unknown. 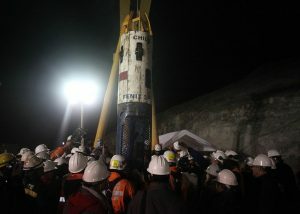 While the outcome of the ensuing rescue effort was favourable, with all 31 being rescued from the mine alive, it was 17 days before their whereabouts and condition were known. In addition to those 17 days being a time of unimaginable uncertainly and grief for the families of those miners, such a long delay before it was possible to start the extraction of the miners by the drilling of an escape shaft could have seriously jeopardised the likelihood of success. An explosion at Pike River Mine in New Zealand in November 2010 resulted in the death of 29 miners. While it is possible, indeed probable, that all of the 29 casualties were killed in the initial explosion, media criticism of the rescue effort concentrated on the fact that rescue personnel were not deployed into the mine because of the risk of further explosions. While two further explosions did, in fact, occur – five and seven days after the initial incident – there has been speculation that there might have been a “window of opportunity” for rescuers to enter the mine before the composition of the atmosphere again posed an explosion risk. Without information on the environmental conditions in the mine, though, no such window of opportunity could be guaranteed. While the emphasis so far has been, quite understandably, on the threat to human life posed by incidents in coal mines, it should be borne in mind that, even when miners aren’t at risk, adverse events in coal mines can also jeopardise production and even put the mine’s future at risk. 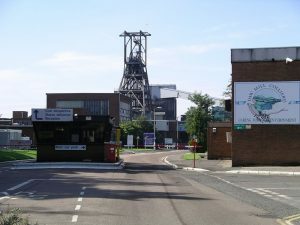 Note is made, for example, of the loss of Daw Mill Colliery in Warwickshire, UK, in 2013 as a result of an underground fire. As in the case of planning the rescue of personnel, attempts to secure a mine’s infrastructure following fires, explosions, flooding or rock falls depends, to no small extent, on the availability of up-to-date information on the conditions underground. Under normal conditions, most coal mines have effective communications systems and a wide range of environmental sensors, many of which have been developed in various RFCS projects. Between them, these allow verbal communication to be established between personnel both above and below ground, and the environmental conditions throughout the mine to be monitored in real time. Some mines have means by which miners can be tracked, thereby providing up-to-date information on the location of all personnel in the mine. An issue being addressed in this project is that the power and communication networks that empower this verbal and data communication will often be rendered inoperable by serious incidents. Therefore, INDIRES will develop several technologies that will operate without these fixed networks and so enable Information Driven Incident Response. These technologies, as outlined elsewhere on this website, include: (1) resilient communications equipment that will provide person-to-person communication and the transmission of sensor data, (2) environmental sensors that will survive serious incidents such as explosions or fires and which can be deployed after the incident, (3) small, unconventional unmanned exploratory vehicles for sensing environmental conditions and signs of life, (4) a portable lightweight, highly efficient drilling rig and roof supports to provide access for communications and egress, (5) a remotely-controlled vehicle for transporting this mechanical equipment to an affected area of the mine, (6) a vehicle processing hub from which the unmanned vehicles can be deployed and controlled, (7) simulation software for predicting the probable escape route of miners following an incident, and (8) simulation software for predicting temperature and other environmental conditions, these latter two initiatives providing information to augment the real-time data. The primary motivation for the developments in INDIRES is to provide tools for use by mines rescue and incident management teams, both those employed by a particular mine operator and those that operate independently. The technologies developed will be relevant to most member states, not only those with a coal mining industry, since the equipment and methods are applicable to all types of deep mining. 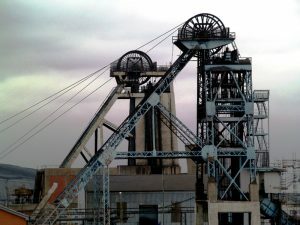 It is also relevant to stress that the response to a serious mining incident isn’t only concerned with rescuing any affected miners, even though that is understandably the first priority, but can also involve securing the ongoing commercial future of the mine and minimising the impact of the incident on coal production and profitability. It is also pertinent to point out that, although the development of the technologies is motivated by the specific needs of a post-incident response, as a result of their cutting edge, highly efficient nature, some of the methods developed will be of potential application in coal production. Of particular note here are the mechanical aids, specifically the technique of electromagnetic torsional drilling and the lightweight props using composite materials. Props are also required for use in rectangular or irregular shaped galleries, for additional reinforcement in cases of roof falls, for support during face salvage, or in conditions of high rock-burst hazard as required by some mining law regulations. Reducing their weight could have major productivity benefits. While developed specifically to cater for the requirements of information gathering while planning the response to a serious mining incident, the small autonomous vehicles that will be developed in this project are also of relevance to inspecting abandoned mine workings. 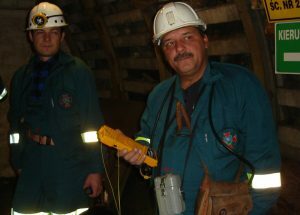 Due to the risk posed by abandoned mines, if not adequately inspected and managed, several RFCS projects have developed equipment and techniques for monitoring the condition of the linings of abandoned mine shafts. In particular, RFCS PRESIDENCE, MISSTER and STAMS have made important contributions in this area. While a concentration on shafts is understandable, given the increased level of risk they pose, the vehicles developed in this project could meet the need for inspecting horizontal mine openings, and galleries that intersect with shafts, a requirement that has not previously been addressed within RFCS. It is recognized that several commercial organizations offer services for inspecting horizontal mine openings but the conventional tracked robots, that tend to be used for this purpose, are not nearly as suitable as the vehicles that will be developed in this project for operating in restricted and convoluted spaces and under non-ideal conditions. 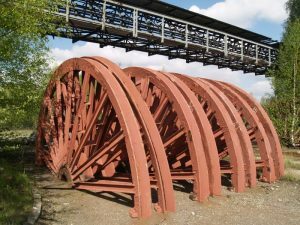 This emphasises the potential of some of the technologies to be developed in this project in Western Europe where working coal mines are far fewer than in the East. Indeed, the consortium has been made aware, by an organisation with responsibility for ensuring the safety of abandoned mines in one Member State, that some of the initiatives to be developed in INDIRES, are of significant interest. Note is also made of the potential of several of the technologies developed here in rescue scenarios not related to mining but with similar characteristics. 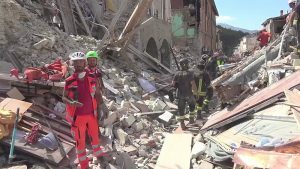 Of particular relevance are rescues in collapsed buildings following natural disasters, most notably earthquakes, and tragedies such as terrorist attacks. The small autonomous exploratory vehicles, the LF/VLF mesh networks, and wire-guided radio for person-to-person communication, and the highly efficient drilling rig and lightweight props are of particular note in this respect.